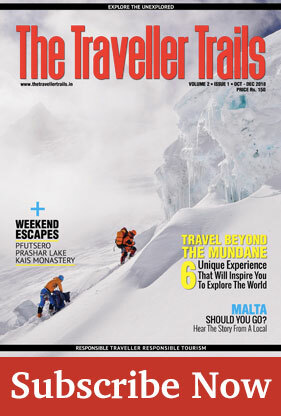 In this age of modern technology when one can research about places with the click of a button, the world has shrunken to such an extent that it has become increasingly difficult to find places which are less travelled and can be termed as hidden gems. In our quest to explore the less travelled trails, we stumbled upon a place called Karsog Valley in Himachal Pradesh which is still pristine and surreal; a hidden gem away from honking cars, loud music and free from the hustle-and-bustle of city life. In Karsog, you wake up to the sound of birds chirping in an ideal morning. And during the day, you can be a part of the village community by helping them with the farming. An ideal evening can be spent over a cup of tea, gazing at the stupendously mesmerizing sunset after an afternoon siesta. Karsog, a subdivision of Mandi district is a small town near Shimla. It is easily accessible from Shimla by road. The mystic serenity of this place and the sound of the ringing bells emanating from the temples transform this place into an abode of the mountain Gods. Due to the presence of numerous beautiful and historical temples, this place can also be called as the land of temples. Some of the temples worth mentioning are the Mamleshar Mahadev, Kamaksha Devi, Chindi Mata and the Mahunag Temple . Visiting these temples which are adorned with beautiful wooden carvings representing various art forms will ensure that the visitor fall in love with the charm of this mysterious valley. In Karsog one can indulge themselves in admiring the nature and explore the ancient temples that dates back to the Mahabharat and the Ramayan era. Let,s discover this beautiful valley. Situated on right bank of river Sutlej, Tattapani (53 kms from Shimla), serves as the entry point to Karsog subdivision. The place is famous for its hot water springs, Which is rich in sulphur content and is believed to have curative powers. And it comes to white water rafting, Tattapani has something for everyone. White water rafting in Tattapani has emerged as one of the most popular adventure sports. Negotiating the strong currents in river Sutlej, can be a lot of fun and exciting. 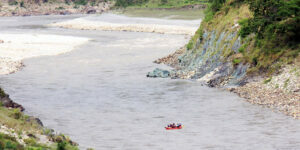 The place attracts rafting enthusiasts from all over Himachal and the neighboring states. The crisscrossed steps of apple and peach orchards surrounds the entire valley making the whole landscape resemble an offbeat wonderland. Chindi is beyond doubt, one of those offbeat locations near Karsog which you won’t like to miss; if you want to explore the less-explored. It is one of the most beautiful villages in Karsog. Just 14 kms from Karsog town, this lesser travelled area can be a weekend getaway that can provide you a relaxing break and an escape from the hectic life to initiate things with fresh mind and soul. Presently there are not ample accommodation facilities available in Chindi. Hotel Mamleshwar run by HPTDC is the best option for a stay here. Dedicated to Lord Shiva, this temple is located around 1.6 kms from Karsog and is believed to be erected by the Pandavas during the days of their exile. The shrine has beautiful wooden work carved on its wooden pillars and is famous for a drum that houses a single grain of wheat weighing around 250 gms. (6 kms from Karsog) Designed in Pagoda style of architecture, it is a beautiful temple with wooden superstructure dedicated to Goddess Durga, who is said to have conquered Demon Mahishasur at this site. As per legends, Lord Parshuram also meditated here to seek the Goddess’s blessing. The temple houses a sleeping chamber where the goddess is said to come to rest every night. 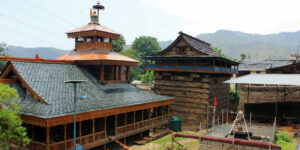 The Mahunag Temple is approximately 35 kms from Karsog. This temple is a medieval styled pahari temple, devoted to Lord Karna (the legendary matchless warrior from Mahabharata, son of Kunti and the Sun God). It is locally known as ‘Mahunag’. And is believed to be amongst very few or negligible temples dedicated to him. Sri Mahunag is the main deity of the valley and is held in very high esteem by the locals. Apart from these temples, there are numerous other places where you can chill and have a relaxing time in the weekend. 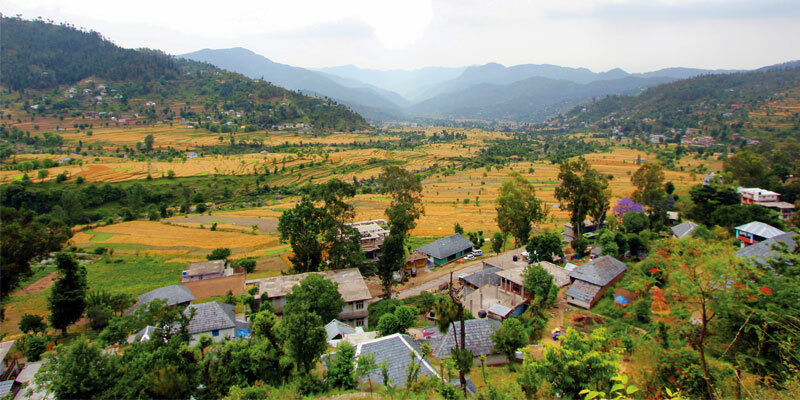 One who visits this beautiful green valley can never have enough of exploring the hospitable villages, chatting with locals and mingling with the lovely curious children, enjoying the scenery while sipping in the mystic silence and chirping of the birds. 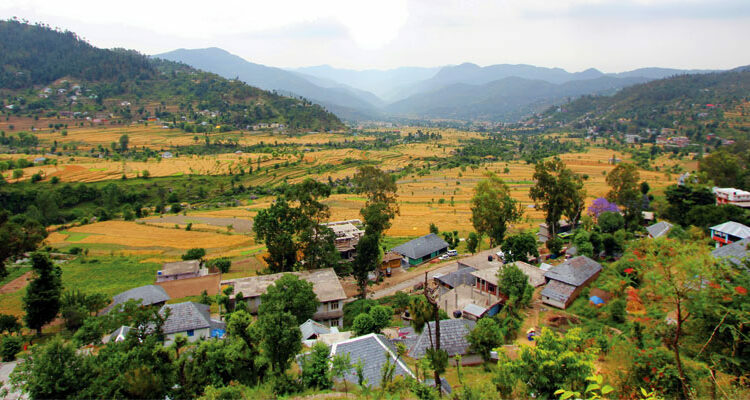 This valley guarantees in its own unique ways to provide travellers, with the little joys of life which is amiss in the city, thus rejuvenating their mind. Karsog is indeed one of the most refreshing destination in Himachal for city dwellers. generally priced at around 500 INR. Tattapani has more staying options than any other place in the valley. BEST TIME TO VIST: Karsog valley is year round destination.